Muskerry News | Ballincollig is named Ireland’s Tidiest Large Urban Centre! 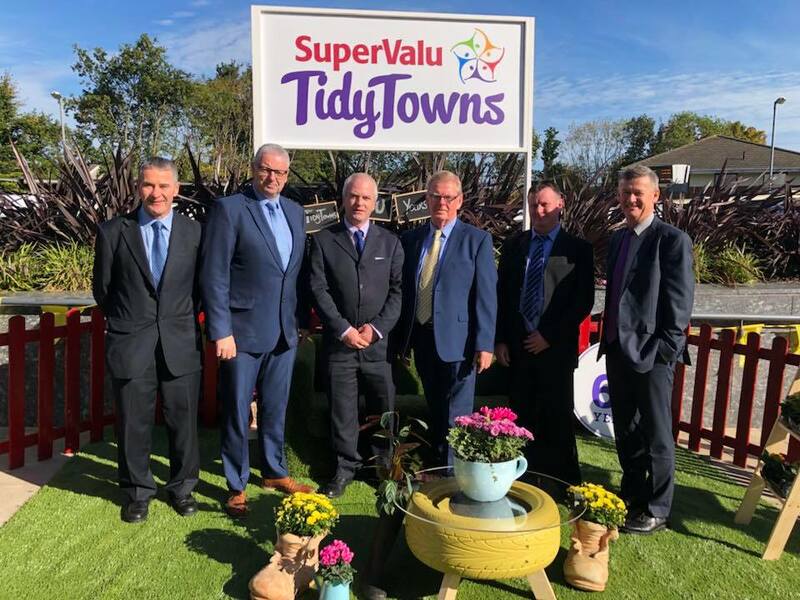 It was a proud day for the members of Ballincollig Tidy Towns when, at this year’s Tidy Towns Competition, they not only retained their Gold Medal for the seventh time but also won Ireland’s Tidiest Large Urban Centre. Ballincollig lost out to the top spot by only one mark, the overall winner being Listowel with 339 marks against 338 for Ballincollig, an increase on last years already excellent results. This is the result of what can be achieved when people work together for the betterment of their Community, and is a testament to the tireless volunteers who give so freely of their time, giving endless hours to make Ballincollig a beautiful place in which to live. Week in and out volunteers of all ages come together to litter pick, water flowers, weed, clean and do whatever is necessary to keep the town looking its best. Some local businesses give their staff members the opportunity to volunteer several times a year and they work alongside the workers on various projects, whilst other businesses donate time and materials to certain projects. Transition Year students help with the weekly litter pick as part of the Gaisce Award, and schools get involved giving the younger generation an insight into the importance of working as a community CE and TUS workers are busy during the week on various projects, and larger projects are decided upon and carried out during Summer Work Evenings. Residents work on their own gardens and the estates in which they live, and all this work carried out by everyone has made it possible for Ballincollig to win this award!